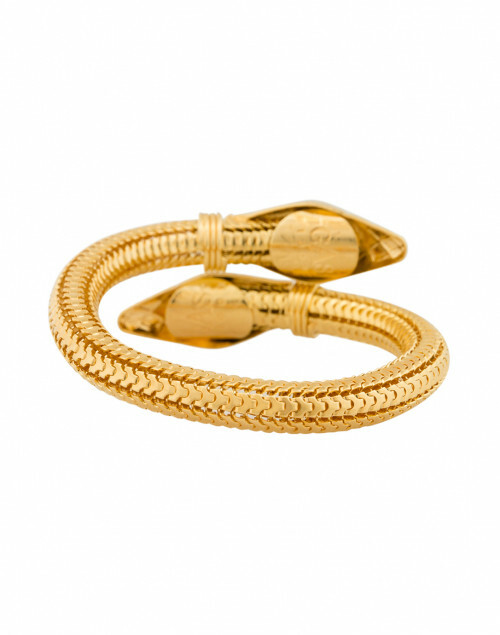 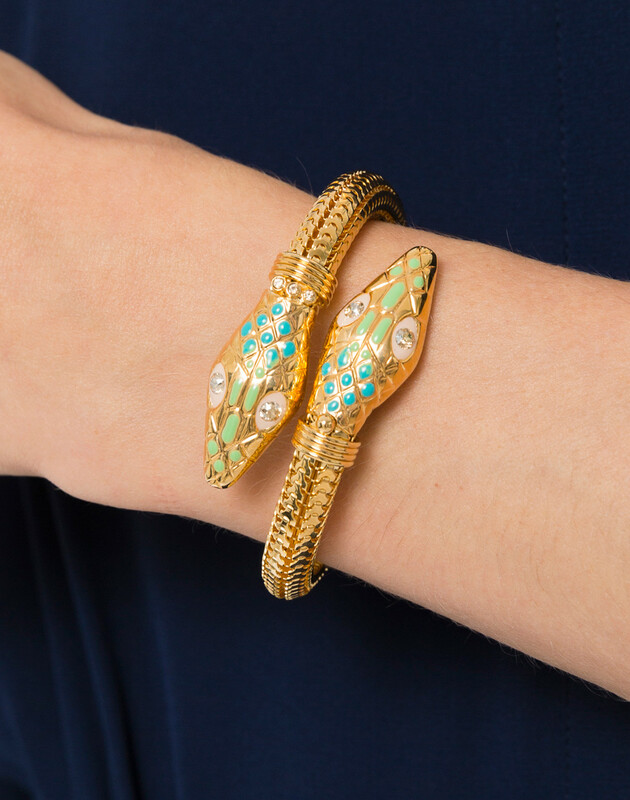 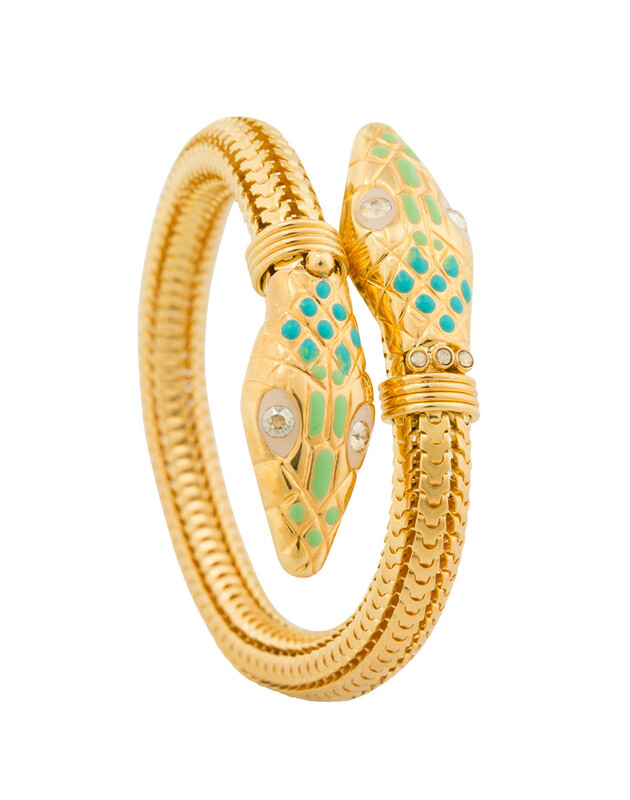 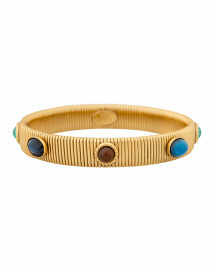 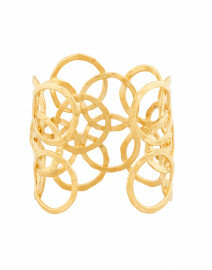 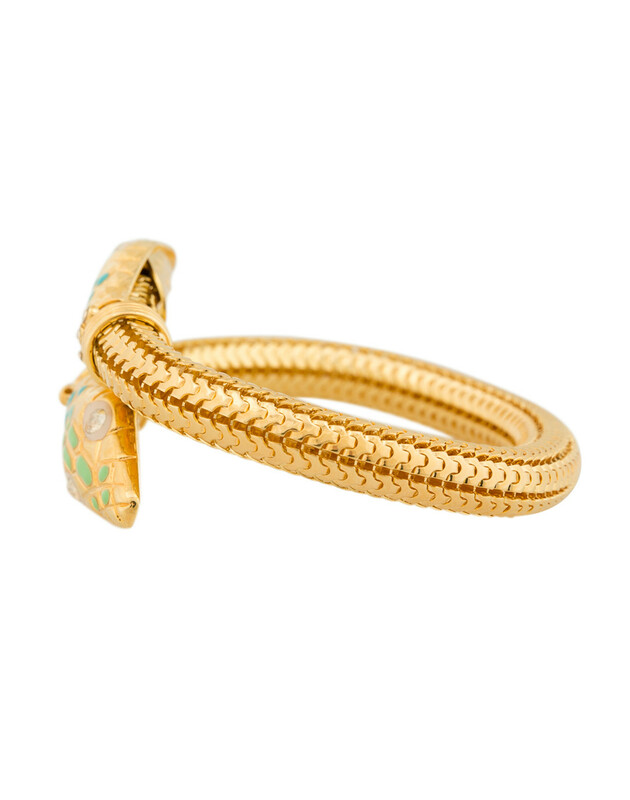 Gas Bijoux's gold plated snake shaped bracelet is daring and unique. 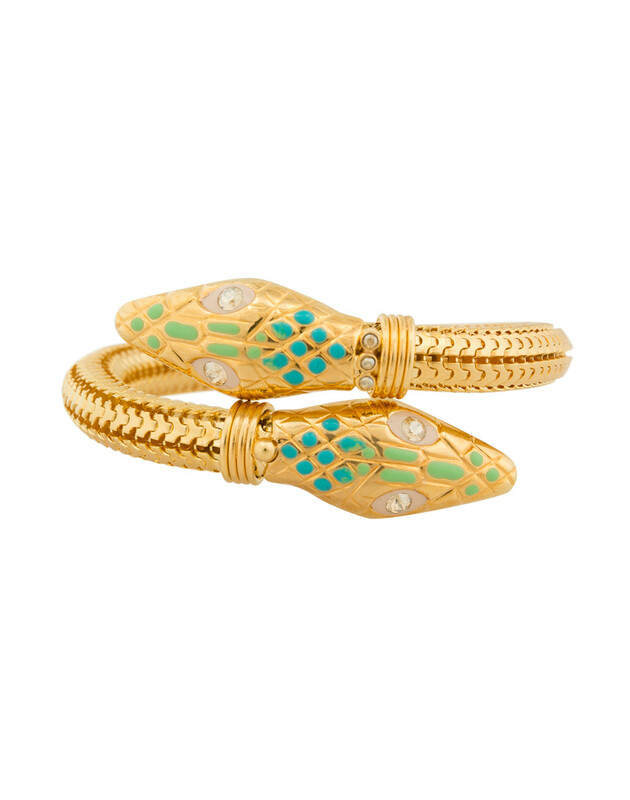 With aqua and light green scale accents and Swarovski crystal eyes, this flexible bracelet adds a show stopping element to every outfit. 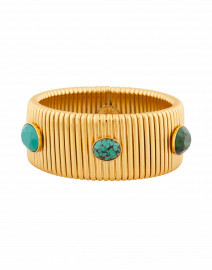 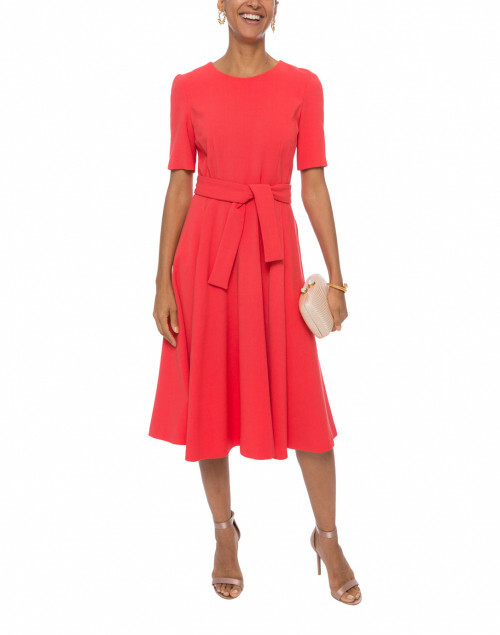 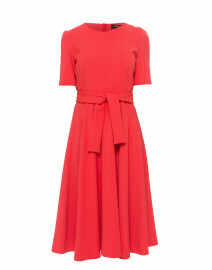 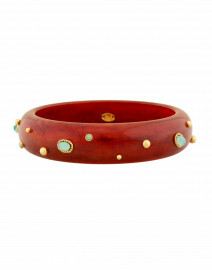 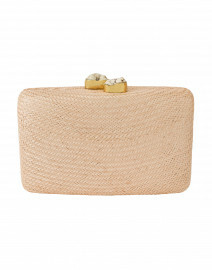 Pair alongside a brightly colored dress and gold heels for a radiant look.